We’ve commissioned a brand new font. I Shot the Serif is a contemporary, sans serif display font perfect for headlines. Available in both TTF and OTF formats, it’s yours to download absolutely free and use on your marketing collateral, web site or projects. Let us know how you get on! 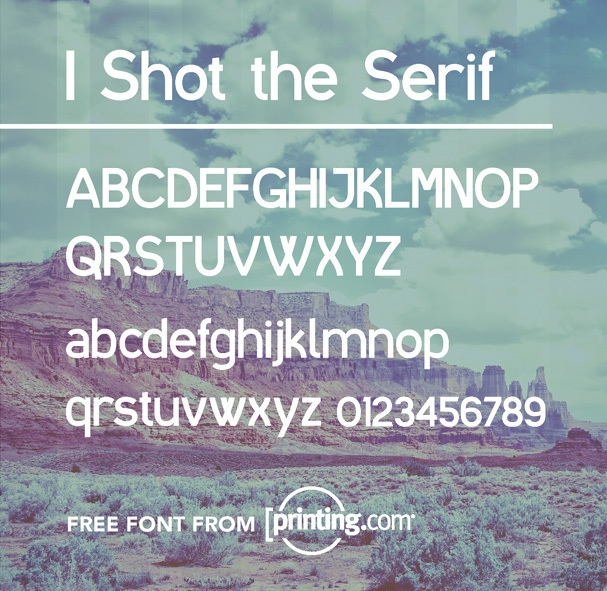 Click here to download the FREE I Shot the Serif font. I guess you “didn’t shoot the deportee” either!